The Beauty Roller SOLD OUT: Now she can pay for more videos and extra dancers! What My Saturday looks Like! You don't have to be a music icon to get great skin. But being Madonna helps. Even at a young age, the 'Like a Virgin' singer has always been diligent about maintaining a healthy complexion. When she didn't have much money, she used to get facials from a heroin addict, Madonna shared at the U.S. launch of her beauty brand, MDNA Skin, in September 2017. Now the 59-year-old queen of pop has the resources and platform to share her devotion to skin care with the masses. 'The biggest challenge is getting the story out there - where does this line come from and why it is important to me, that it's not a vanity project, why I developed it in the first place and connecting to people on a human level,' said Madonna to E! News in a phone interview. You could just scoop up her latest launch—a four-in-one (toning serum, lotion, cream and mask) product appropriately titled, The Reinvention Cream ($75). Like all MDNA products, the lightweight jelly-cream features M.T.Parca Thermal Water, which comes from four different springs in Montecatini, Italy, known for its healing properties. The cream also features three African Resurrection plants (the ones that can sustain extreme dehydration then spring back alive with water). But as Madonna can attest, basic lifestyle choices - the ones that cost almost nothing - can improve your skin, too. E! News: It's been three or four years since you first launched in Japan. What are you most proud of? Madonna: The ingredients are important to me—the fact that they are made with all-natural ingredients, that the hero ingredient of the line is thermal water that comes from Tuscany and that have been a part of healing people for thousands of years. I feel like there's history to it; there's authenticity to it. It's not just talk; it's also walk. It's great when you're not wearing makeup; it's great when you are wearing makeup. My 17-year-old [Rocco Ritchie] son uses it. It's something that everybody loves, and I'm very proud of that. MDNASkin: Don’t it taste like Holy Water? Kim Kardashian was once next door neighbors with Madonna. The Keeping Up With the Kardashians star shared a childhood memory with the singer at the MDNA x KKW Beauty event on Tuesday in Los Angeles. During their conversation with Kandee Johnson, Kim revealed that while growing up in L.A. she lived next door to Madonna's manager. 'She, at a time period in her life, moved in with her manager who happened to be our next door neighbor growing up,' Kim said (via People). The KKW Beauty founder went on to share that she and sister Kourtney Kardashian would walk her next door neighbor's dog and when they went over to the house, they would see Madonna. 'We were shaking,' Kim recalled. In addition to receiving some jewelry from Madonna, Kim and her BFF also got to watch Madonna film her music video 'Cherish' in 1989. While at the event on Tuesday, Madonna shared a selfie with Kim on Instagram. 'Thank you @kimkardashian and all the folks @mdnaskin,' she captioned the post. This comes just days after Kim and Madonna were spotted hanging out at the singer's 2018 Oscars after-party, where the duo posed for a photo with Cardi B.
MDNASKin: Guess which one they chose? When we got word a few months back that Madonna’s MDNA skin care line would soon be available in the U.S., fans couldn’t believe their luck. Though initially only available in Japan, Hong Kong, and Taiwan, it has finally made its debut stateside. Whether you’re a fan of her music or a devoted beauty junkie, you’re going to want to check out this much-talked-about collection. There’s no denying that Madonna is absolutely ageless, so it makes sense that she’d want to share her beauty secrets with the world. We are so curious about these high-end products. They’re definitely luxurious products with a hefty price tag, but if you’re willing to splurge, we have a feeling you’ll love them. 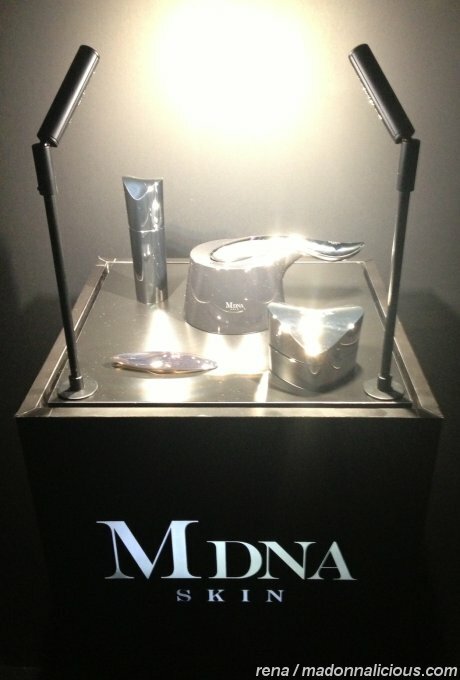 You can now purchase Madonna’s MDNA skin care line on her website or at Barneys. There are eight pieces in the skin care collection, all designed to work together to create flawless skin. From a face mist to a clay mask, this line has got you covered. Are you intrigued? A revitalizing mist that tones and refreshes skin. A powerful, moisturizing cleanser that removes dirt and unclogs pores. This hydrating, nourishing, and brightening serum was developed specifically by Madonna for her own use. Includes the Chrome Clay Mask and the Skin Rejuvenator, which work together to hydrate, nourish, and heal skin. They can also be purchased separately. This magnetic mask draws out dirt and impurities. A dual-headed magnetic skin care tool not only removes the mask but stimulates the skin and perks it up. Sharing skin care products is the key to Friendship! Madonna posted several pictures from the MDNASkin photoshoot to advertise the line coming to the US. Madonna wants us all to have skin as ageless as hers. The singer’s six-product MDNA Skin line isn’t yet available in the United States, but that hasn’t stopped the Queen of Pop from teasing her social media followers with her favorite products. On Friday, she shared a video of herself getting the MDNA Chrome Clay Mask slathered on her face with a conventional butter knife. On her Instagram story, which is seriously worth a look, her facialists continue to apply the mask and then remove it, all at the Material Girl’s instruction. Naturally, because this is Madonna, she also sings while it’s all happening. The mask is a super-luxe concoction worthy of Madonna (and of the pop star inside everyone). Its active ingredient is volcanic clay from Montecatini Terme in Tuscany, the Italian town known as a wellness-spa destination. 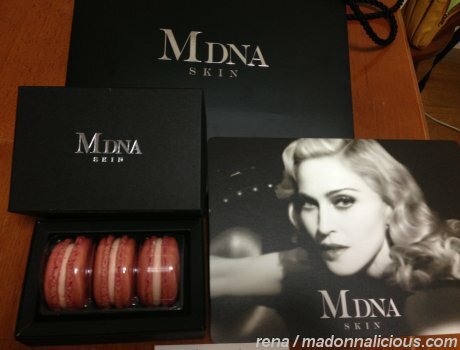 Unlike the typical dry-then-crack clay mask, MDNA’s version reportedly stays creamy when applied. It’s also technologically savvy. The clay is magnetized, so you remove it by dragging a magnetic brush over your face. No rinsing necessary. And it just looks impressive. The best part? The mask stays on for only five minutes. It must have been designed either for rushed mornings or for the busy schedule of the world’s most famous music icon. Madonna herself demonstrated the magnet-removal innovation last year on Instagram. 'You want this product. I want this product,' she said. Aside from the mask and its removal device, the line includes a face wash, serum, rose mist, eye mask, and a not-yet-released eye serum. All products have prestige prices, from $4,860 Japanese yen (about US$43) for the face wash and 62,640 yen (about US$567) for the mask and regenerator set. Madonna has been teasing the U.S. release of the mask for months, but for now, all MDNA Skin products are available only in Japan. Does anyone we know have a Japanese vacation and a large suitcase? 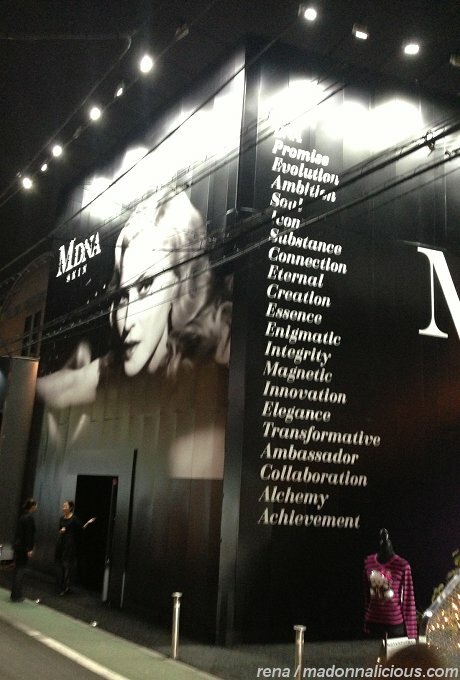 MDNASkin coming to America soon! Madonna’s Skin-Care Line Is Coming to the U.S.
We've known about Madonna's skin-care line, MDNA, for a few years now, but knowing about the concept - and the products in the line - is about all we've experienced. Since news of its launch, the collection has only been available in Hong Kong and Japan, so getting your hands on it would basically entail booking a pricey vacation just to shop for cosmetics. Hey, if you have the extra cash, kudos. But it looks like those in the U.S. are finally going to be able to experience the Queen of Pop's skin-care products. When? Well, that's still an unfortunate TBD. The singer took to Instagram to share a video of her latest MDNA Chrome Clay Mask and wrote in the caption that it's 'coming to America soon,' but those are all the details we have. The Chrome Clay Mask seems like it works similar to the uber-popular magnetic face masks that hit the market earlier this year, like Dr. Brandt Skincare Magnetight Age-Defier Mask ($75; sephora.com). The other buys that made up MDNA include serum, face wash, rose mist, eye mask, eye serum, and a tool called the skin rejuvenator. According to Madonna's site, the U.S. version of MDNA's e-com site will be up and functioning 'very soon,' so hopefully that means before we've used all our holiday gift cards on coffee and sweaters we don't need. Love the MDNA skin I'm in!